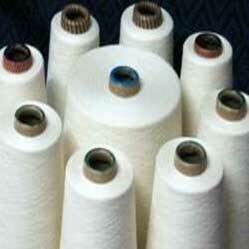 Blended Yarns are required for making various fabrics using weaving and knitting techniques. For all such requirements, we offer Blended Yarns that are made using high-grade Cotton, Polyester and Viscose fibers sourced from international vendors. The Blended Yarns are finely blended in the right ratio and spun & conditioned to ensure the desired properties. Blended Yarns including Blended PV Yarns and Blended PC Yarns are offered by us for knitting and weaving needs. These Blended Yarns are available in different specifications for national and international buyers at market leading rates.